A revolutionary voice recovery and vocal quality improvement technique, with instant and surprising results! It’s an effective treatment for hoarseness and a variety of vocal issues, as well as a vocal support for professional singers, lecturers, and everyone who wish to improve their vocal performance. TMRG, who have been developing leading vocal solutions for years, present the new revolutionary treatment of vocal issues. It is the result of 5 years-long research and international cooperation. One of our major challenges was to find a technique combining self-treatment with a series of easy, safe, and short routine exercises which suit everybody, even those with extreme hoarseness issues or other vocal issues. This technique combines the effects of powerful TMRG solutions, vocal techniques and TMRG Pocket Vox (TPV) device. The solutions recover, sterilize and protect your vocal cords, thus improving their function and your vocal quality. The device, designed by an ENT specialist, is fitted with two tubes, one for inhaling and another for exhaling. This allows you to exercise all parts of your voice box in an easy, correct and controlled way. More importantly, the device forces water vapors at your cords during the exercise, thus softening and relaxing them. Unlike any other vaporizer, the TPV device makes your vocal cords move freely and enhances their vibration through water waves. Because it combines the three (3) unique elements. TMRG Pocket Vox (TPV) device therapy for faster and more effective delivery directly to the vocal cords. A revolutionary voice enhancer, voice recovery and vocal quality improvement technique, with instant and amazing results! 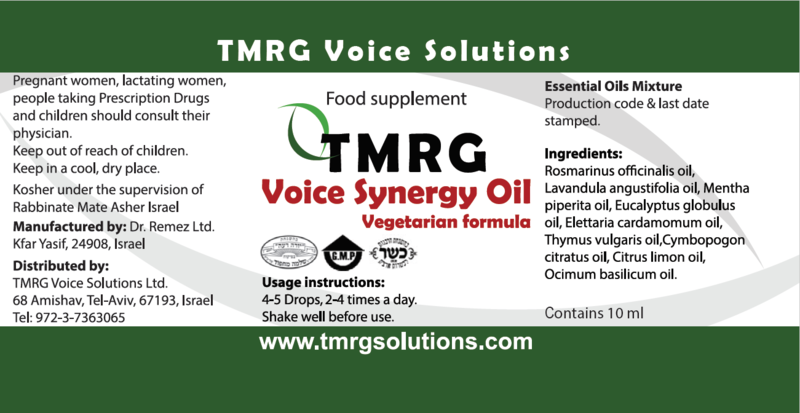 It’s an effective voice enhancer and treatment for hoarseness and a variety of vocal issues, as well as a vocal support for professional singers, lecturers, and everyone who wish to improve their vocal performance. TMRG, the leading developer of vocal solutions, present the new revolutionary treatment of vocal issues. It is the result of a 5 years-long research and international cooperation. 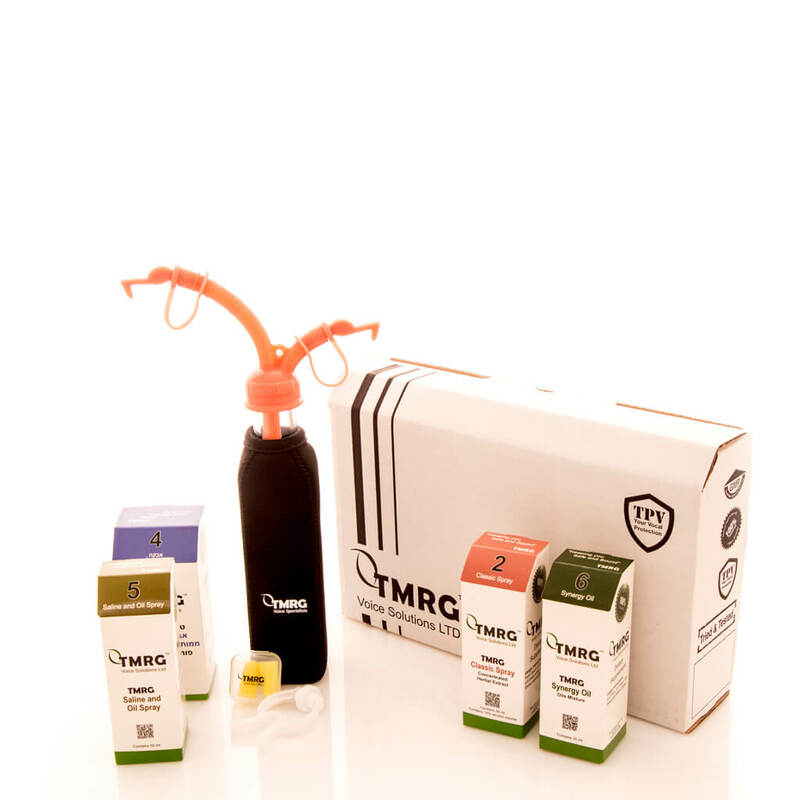 This technique combines the powerful effects of TMRG voice spray and herbal solutions, vocal techniques and TMRG Pocket Vox (TPV) device. The solutions recover, sterilize and protect your vocal cords, thus improving their function and your vocal quality. The device, designed by an ENT specialist as a voice enhancer and vocal theraphy device, is fitted with two tubes, one for inhaling and another for exhaling. This allows you to exercise all parts of your voice box in an easy, correct and controlled way. More importantly, the device forces water vapors at your cords during the exercise, thus softening and relaxing them. Unlike any other vaporizer, the TPV device makes your vocal cords move freely and enhances their vibration through water waves. A quicker recovery of your vocal cords and a quicker of wounds of and ailments, such as edemas and warts. Removal of infections, excessive acidity and mucosa from your respiratory system. Vocal support and immediate tone improvement. Better control of your vocal range. Better control of your breathing and sound length. Opening up new resonance cavities and sinus cavities. Stronger respiratory system-it works perfectly for people with allergies, asthma, post nasal drip, sinusitis, flu, etc. Stronger immunity against viruses, microbes, fungi, and ailments. Increased vocal intensity and energy, due to increased vocal tract inertia and stronger vocal system muscle mass. A stronger diaphragm and accustomed diaphragmatic breathing. Vocal cords softening and moisturizing the vocal cords and respiratory system. Reduced pressure on your vocal system. Reduced external pressure on the neck and shoulders. More flexible vocal organs (vocal cords, false vocal cords, palate, tongue, lips, epiglottis, etc.). Better capacity of vocal cords thinning, in order to make, mild and high sounds. Better capacity of vocal cords thickening, in order to make full sounds, with vocal presence. A better closing of the vocal cords. A Quick and easy opening of the vocal cords. TMRG is a great remedy for a myriad of different vocal problems, but if the condition is chronic, complex or severe, e.g. – vocal fold blisters / edema etc, – it is highly advised that you consult the advice of a Doctor or ENT specialist in addition to using any of our specialized kits that deal with more serious vocal issues. Always consult your doctor or ENT specialist if symptoms persist.